Wanna see The Avengers for nearly free? Click on the jump to find out! - Purchased all four volumes of Avengers: Earth's Mightiest Heroes for $10 each (price matched with Walmart): There are about 10 titles that offer this deal. Some include: Fantastic Four Animated, Avengers: EMH, Spider-man Animated, X-Men Animated. Each DVD came with the coupon offer, and you may redeem up to 10 coupons per user name. I also saw some of the live action Marvel films with these coupons on them. - Redeemed coupon on the cover at www.activaterewards.com/avengers: At this site, you must enter your personal information, as the ticket will print that information onto the coupon. It will also ask you to choose a theatre. Don't worry about specific days or show times - they don't ask for that! - Take the coupon to the movie theatre you chose on the night you want to watch the film. 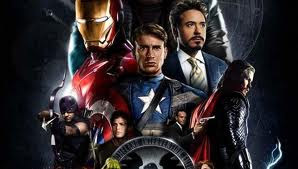 - Enjoy Avengers film for either FREE or for very reduced price. Based on this scenario, and assuming you can get the titles for $10 each, you can also enjoy The Avengers: EMH for about $2 per volume! This is a very cool deal overall, but it ends on June 10, 2012. Also, you must redeem the coupons by that date.